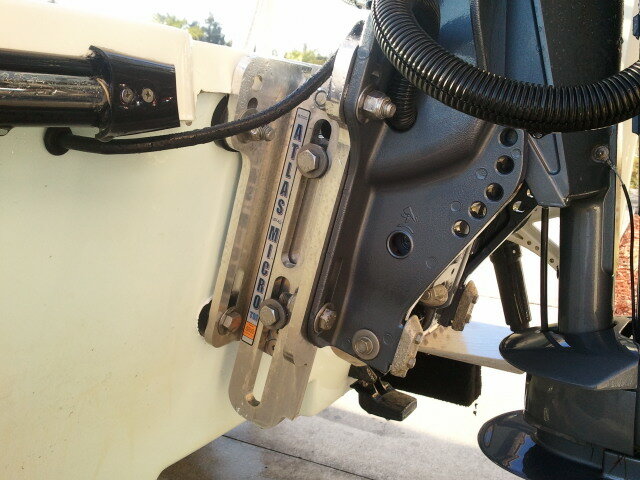 I just had one of these great hydraulic jack plates added to my Beavertail BT3 and couldn't be happier with it. The Atlas weighs only 23 pounds so it has no problem with my 247 pound Yamaha F70 and doesn't add any noticeable draft to the boat. What is noticeable immediately are the performance improvements. My hole shot was cut in half and the top speed bumped up by 2 mph. I'm also seeing a slight decrease in fuel burn. The Atlas Micro Jacker is rated for outboards up to 90 hp and is now a standard feature on all of Beavertail's skiffs. It will improve the performance of any flats boat and prices start at $760.